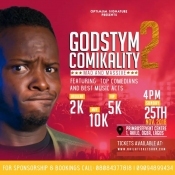 Godstym comikality 2.0 scheduled to come up this year 25th of November. The "Mad and Massive" edition of the show is set to make a great history in the Mainland. The very first edition told an amazing history, people never wanted it to end despite being a standing show. This year's Comikality team already planned a relaxing and comfortable atmosphere with a total of two thousand people sited in a comfortable hall. As KennyBlaq!! BrodaShaggi!! Dan D Humurous!! PencilComedian!! LaffDoctor!! BelloKreb!! DannyS!! Frankeyley!! DestinyBoy!! Omojinad!! Snipes!! Kredol!! and lots more talented Acts are set to thrill the guest.. 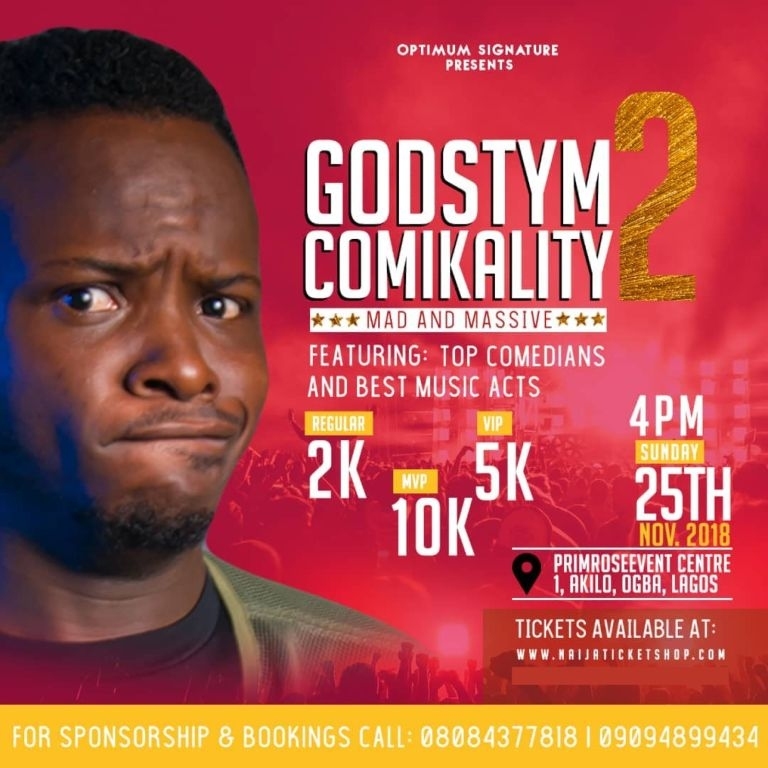 Host remains Godstym himself, Baba is on Fire for 25th!!! VENUE: PrimRose Event Centre, 1 Akilo Street, Ogba Lagos Nigeria. Bullet Description: Featuring; Top comedians and best music acts.